Can you give us a behind the scenes look into Schmidt’s HQ? How are your products mixed up and packaged, and what’s the culture like? Great question! Our warehouse and office are based in Portland, OR, where our staff manufactures, packages, and ships the deodorant all over the globe. We have a tight knit team dedicated to Schmidt’s around the clock. I’m happy to say we have a fun, efficient, and happy workplace – there’s a lot of positive energy behind the scenes at Schmidt’s. With all the amazing food and parks in our neighborhood, there’s plenty to keep us occupied during our time off. I wish everyone could glimpse inside our world and meet the friendly faces responsible for putting together their deodorant! What’s your process for selecting scents? What inspires you? I’ve always been interested in fragrance and perfumery from a young age. Then, as I became older and aware of natural ingredients and the abundance of scents available in the natural world, I aimed to create blends that were reminiscent of high-end luxury scents but utilized only natural ingredients that can be responsibly sourced. I have a very sensitive nose, and people often remark to me, “How did you smell that from so far away?” Haha, I guess it’s just one of those things I was born for. Natural deodorant is experiencing a bit of a renaissance right now – how do you think this will affect the deodorant industry in general? Do you expect major drugstore brands to start creating natural alternatives? Do you think traditional antiperspirants and deodorants with harmful chemicals will soon be a thing of the past? People are looking for alternatives to the conventional deodorant format – it’s often unpleasant and leaves a sticky feel. Consumers, more than ever, are paying attention to the potential health impacts of body care products. It’s not so strange to think we’ve been getting it wrong all these years, right? And now with all the science and technology at our hands, you would think we would have progressed beyond it by now. However, natural deodorants have had trouble breaking into the market because of their history of being ineffective – the formula and application is very tricky to get right. The market for natural alternatives will continue to progress, and I assume we’ll be seeing more of the household name brands coming out with natural alternatives. What’s next for Schmidt’s? Can you give us in the inside scoop on new scents or products coming out? We’re always paying attention and listening to what our customers are saying – our ultimate goal is to grow with their needs. However, it’s critical that every product sold under the Schmidt’s name be adequately researched and tested before jumping into market. I can say there are exciting developments that have been in the works for some time now….stay tuned! 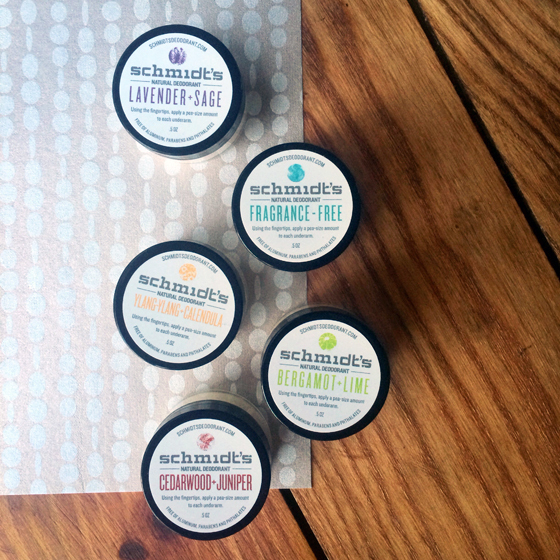 Check out our full review of Schmidt’s Deo over here! I’ve been loving Schmidt’s as well, and I especially like it when my husband wears the Cedarwood & juniper! One thing I’d love to see though, is that hopefully they can come up with a stick form. I know it’s challenging to do so since they want to keep their ingredients as pure as possible… But having it in a stick is much, much convenient and easier to convince newbies (like my hubs) to switch to a natural alternative. Yes, agreed! I’ve noticed that a lot of people are weirded out about applying deodorant that’s not in stick format. I guess it’s a bit “up close & personal” if you’re not used to it. I imagine there are some challenges with making the natural formulas into sticks…but hopefully we see more & more of them coming down the pike! Oh yes…. roses would be super awesome, I don’t think I have seen that in a deodorant yet! Natural deodorants that really work! 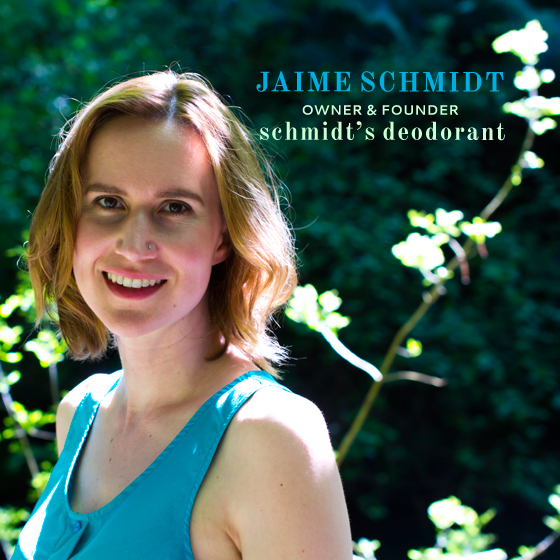 I’ve tried other natural deodorants and Schmidt’s deodorants are the best! My favorite is Bergamot Lime.